Our oven is broken. As DIY folks we decided to look into fixing it ourselves. 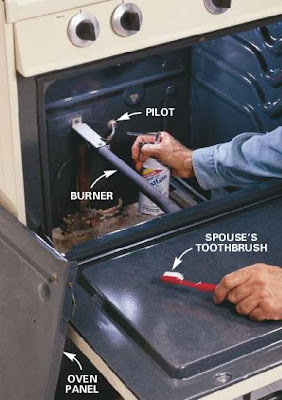 Here’s a gem from the Reader’s Digest How to Repair an Electric or Gas Range. This entry was posted in Uncategorized on June 9, 2008 by Jennie.